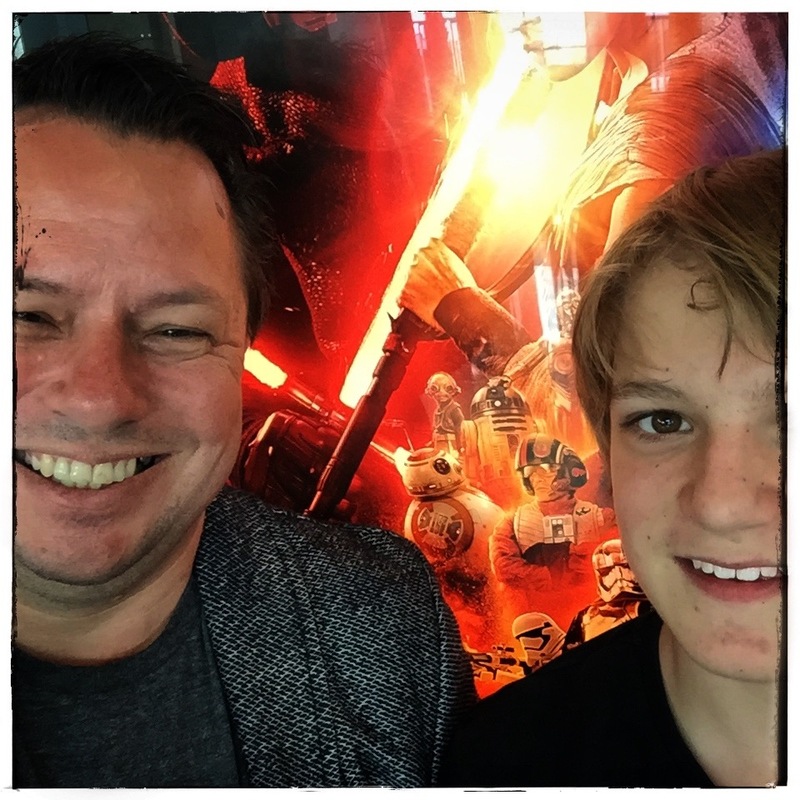 Yesterday was Opening Day for the seventh film in the Star Wars saga, and I was fortunate to be able to take my 13 year old son to see it. The Lux style (Hoyt’s version of Gold Class). I wanted to create a memory for him that lasts long. 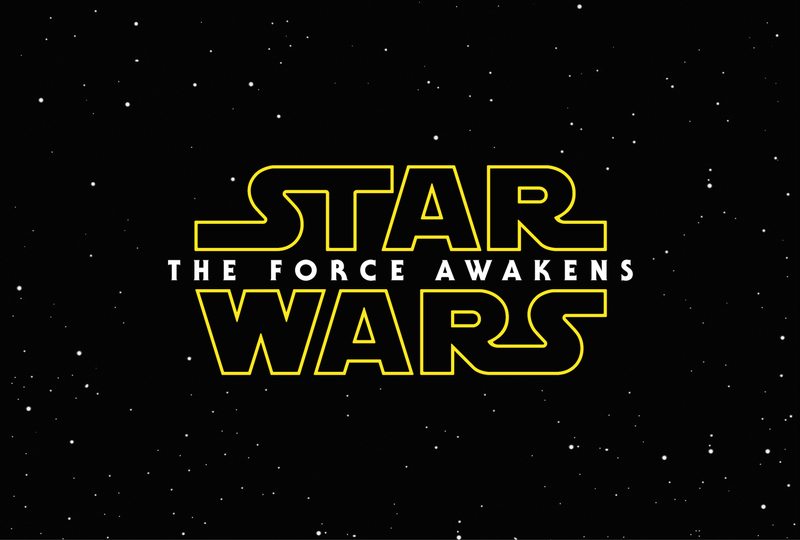 I saw the original Star Wars in the Regent Theatre in Palmerston North when it was released. I’m not entirely proud of how I got to see it, but I got to see it. Oh OK. Here’s the story. If you insist. I really really really wanted to see it but my parents were quite frugal (Dad was a teacher, Mum was a relief teacher (both at PNBHS) and they were raising four kids) so my going to see it was out of the question according to them. ANYWAY, I learned that my sister had been invited to a friends 7th birthday party – and the horde of girls was going to see Star Wars!!! Girls??? Star Wars??? And NOT me??? I rather suspect I threw my toys. Just a little bit. Long story short, I got to see Star Wars. And that fact transcended the fact I was at a 7 yr old girls birthday party. I remember it vividly. I remember the Tangy Fruits in plastic pottles. I remember walking out of the theatre on its red carpet feeling like I was walking on air. 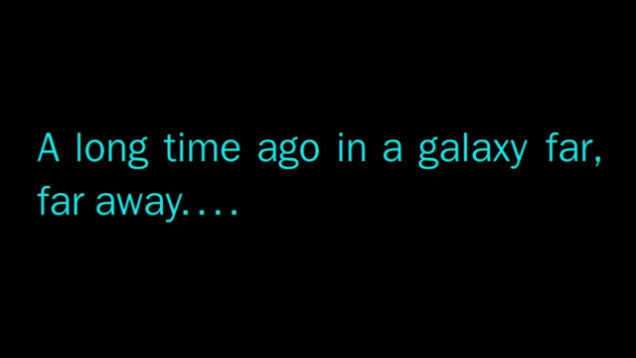 And the memory of seeing the banner stretched across the hallway with ‘May The Force Be With You’ is seared in my mind. So yesterday was a re-living. 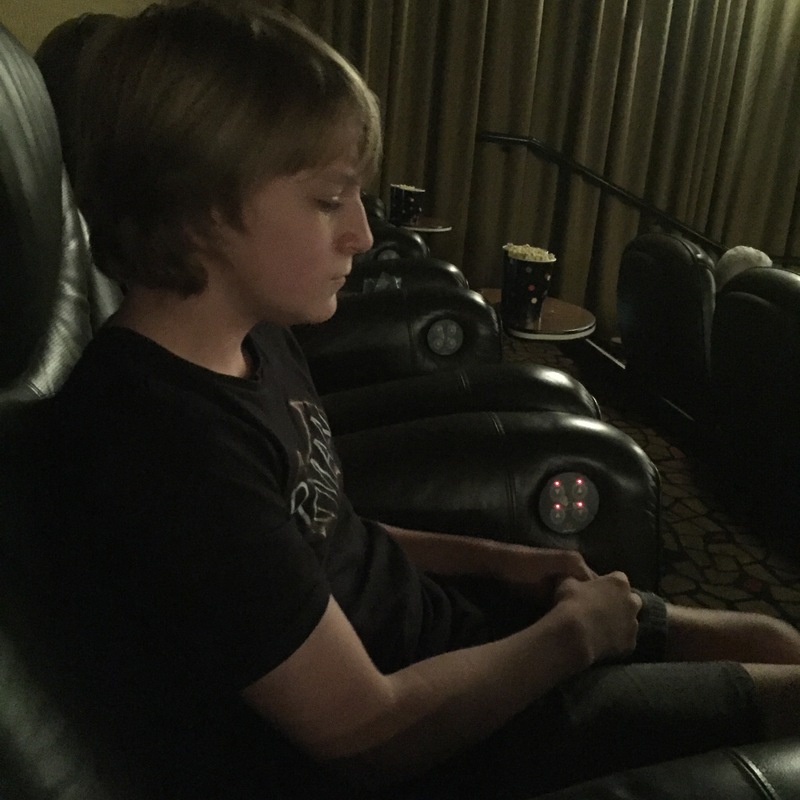 Another generation experiencing Star Wars on release in the cinema! 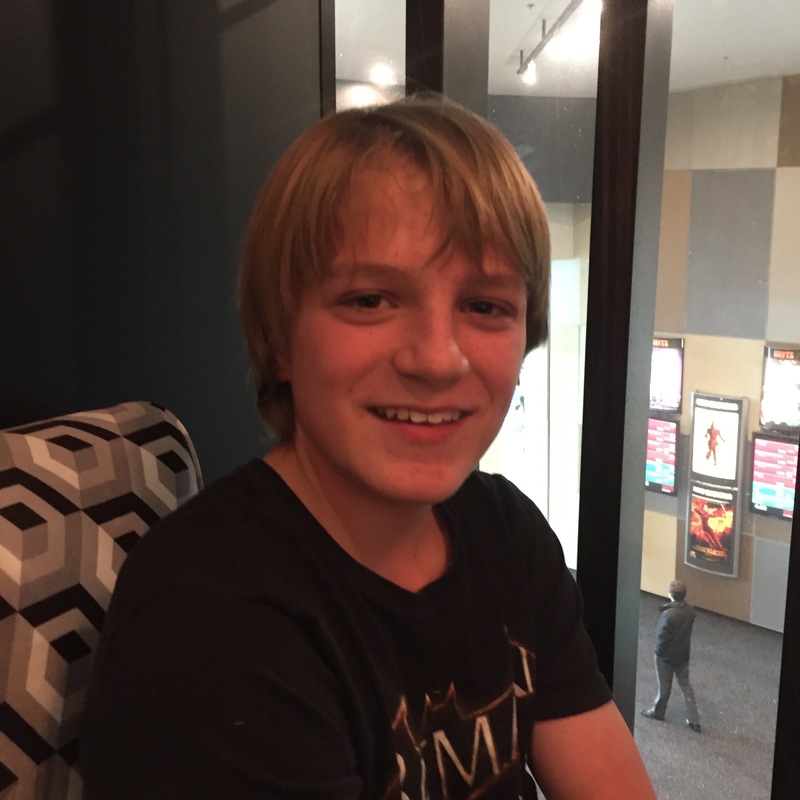 I picked my son up a couple of hours before screening time thinking we’d wander the shops a bit, look for Christmas gifts, yarn, fill in time. Well – THAT idea went out the window pretty quick. Neither of us could concentrate. We were twitchy, fidgety and restless all at the same time. Finally, the time came. We were escorted to our seats. We were not disappointed. A stupid, silly, happy grin has been on both our faces for the last 24 hours. Do go see this movie. It’s terrific!